San Francisco, CA – June 29th, 2016, Simpactful LLC announced today that Don Quigley has joined the firm to further expand their team of experienced leaders in the retail and CPG industries. Quigley comes with a wealth of experience within the consumer products industry, having spent 38 years with Mondelez International, KImberly-Clark, PepsiCo, and E&J Gallo. Don has extensive experience in both DSD and warehouse distribution systems, as well as business development, shopper marketing, go-to-market, supply chain, transportation, and global customers. He will be a Senior Consultant for Simpactful based in Lake Forest, IL. In his role, he will empower client companies of all sizes to improve top and bottom line results via strategic guidance, direction on sales and marketing plans, and strong operational /in-store expertise. Quigley is an experienced senior executive with a proven record of accomplishments over his distinguished career. Most recently, Don was the President of U.S. Sales at Mondelez, where he led all DSD Retail and Customer Headquarter activities for the Snacks and Confectionary businesses. 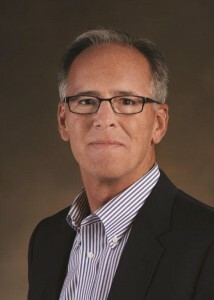 During his time at Mondelez, Don led the sales transformation for a 9,500 person new sales organization, rebuilt and re-engineered the commercial planning process for all functions, and led the organization to the #3 ranking in the annual Advantage Survey after just one year as a new company. After only one year of existence, Simpactful has retained over 40 clients, ranging from CPG start-ups, to established brands and retailers, to e-commerce businesses, and more. Quigley’s move to Simpactful follows soon after additions including Kathee Tesija of Target and Dirk DeVos of Heineken, Diageo, and Unilever.